In half term we spent a few days at Alton Towers resort. We first visited the water park, having been to Centre Parcs I was very excited to find out what the slides would be like. Without even dipping our toes in the water we rushed straight for the Master Blaster slide. Master Blaster is more than a water slide, it’s a water coaster. First you climb into your rubber ring, you can either go down solo or in pairs we first went down on our own. It shoots you downhill and then you’re propelled uphill even faster at an impressive 5 metres per second! The Master Blaster at Alton Towers is the UK’s longest Master Blaster at 208 metres long, it has three uphill sections some dark sections and covered parts it is epic! I loved the final bump that seems to fly you through the air into the plunge pool. When you go down in pairs it seems to feel even faster! There are other slides some in which you sit in a ring ( Rush and Rampage) and some in which you don’t (Flash Floods). Flash Floods takes you outside and this is a strange sensation as your body is in the warm water and your face meets the cold air. From there you can go and relax in the hot bubble pools. Rush and Rampage are two slides the same only one is in darkness the other is light I preferred the dark one because it felt exciting being in darkness twisting and turning then there is a flash of light as you hit the plunge pool. There are many different areas of the pool where you can swim and splash, there are climbing ropes and water jets for you to squirt other swimmers. A large bucket high in the roof fills with water and a tsunami is unleashed when the bell rings. Alton Towers Water Park has lots to do for all ages whether you want to relax in the hot bubbly wubbly pools , or rush down the rushing rapids. It is definitely worth a visit. Tickets must be booked in advance and limited space is available. < On the road with the Yellow and Green army! Hiya! Alton Towers sounds soooo awesome! 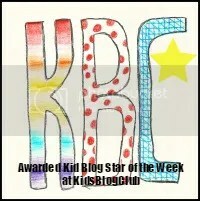 I found you on Kids Blog Club!